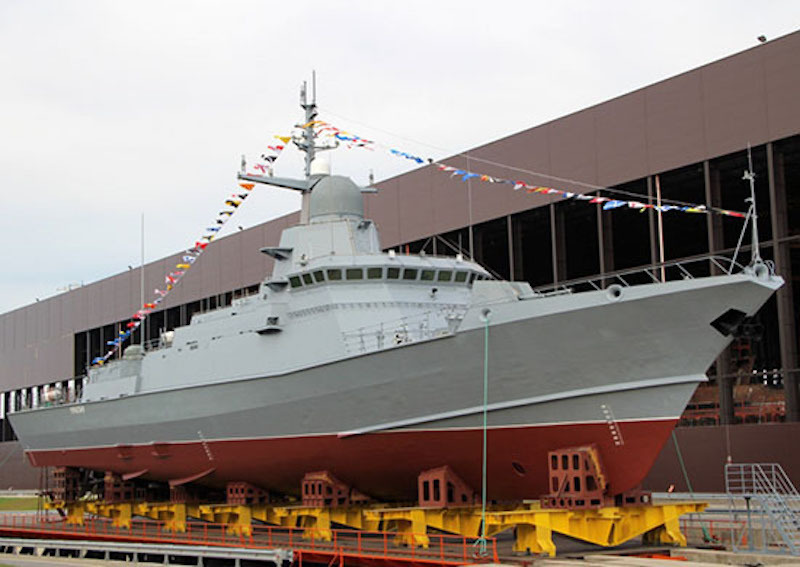 Project 22800 lead small missile ship (SMS) Uragan built at the St. Petersburg shipyard Pella made the third sortie to the Ladoga Lake water area within the plant sea trials. The ship successfully tested her life support systems, navigation complex, anchor and towing gears during three sorties to Ladoga. The SMS Uragan is scheduled to take part in the Main Naval Parade in St. Petersburg and Kronstadt on 29 July, thereby demonstrating the most advanced achievements of the domestic military surface shipbuilding. Project 22800 SMSs are designed by the Central Marine Design Bureau Almaz. These ships have a displacement of about 800 tons, a speed of over 30 knots. They are armed with a high-precision missile system and up-to-date artillery systems, anti-sabotage systems and advanced radio-technical means. Project 22800 SMSs are equipped with a Russian-made propulsion system. The main advantages of these ships are their high manoeuvrability, increased seaworthiness, reduced reflectivity architecture of superstructures and hulls. The ships are able to carry out tasks in the maritime zone at a distance of about 3,000 miles from the base, which allows them to be used as part of all-arms and one-arm naval groups at considerable distances from permanent stationing points.